Instead of November 5th, 2011- consider going to the Occupy Bohemian Grove protest July- Friday the 13th, 2012- Sunday, July the 15th. However- if the crimes of this government remain unknown to you- then perhaps you should let this event pass. However, if you see what I see, if you feel as I feel, and if you would seek as I seek- then you will find yourself compelled to raise your voice loudly against this event as it breaks every law and treaty we have ever made with any country. 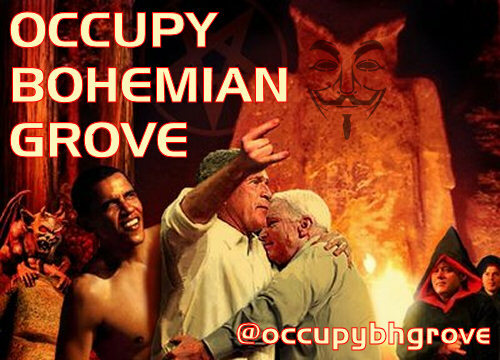 Support Occupy Bohemian Grove- and lets put an end to this debauchery. And another message- from “Anonymous”- I agree with everything that this commentator says about our society filming the police.